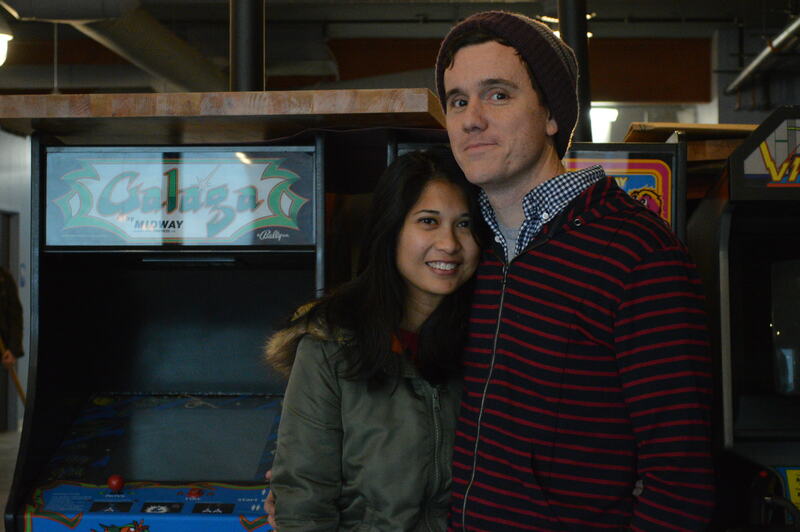 CEDAR RAPIDS – A new craft brewery and arcade in Cedar Rapids will take customers back in time, in more ways than one. The Quarter Barrel plans to open soon at 616 Second Ave. 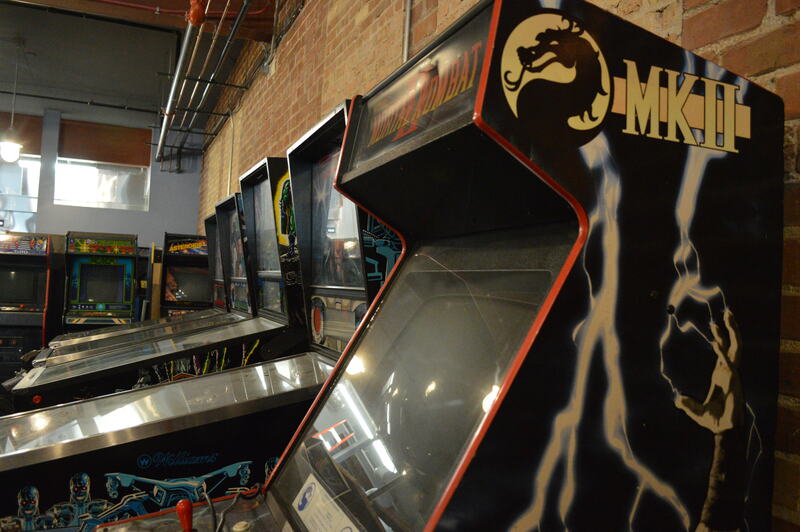 SE, offering in-house and guest brews, a menu centered largely around pizza, and nearly 30 arcade games and pinball machines. Owners Chris Ellis, 39, and his wife, Lorelle Lindo, 37, have worked on transforming the building back to its historic origins since they purchased the property in April 2014. “It was a bit of an excavation process,” Ellis said of removing the carpeting on top of tile that covered linoleum to reach the building’s original concrete floor. Stucco that coated exterior brickwork also was removed and large storefront windows were uncovered and restored to their original size. Combined with a transformed front entrance, the building is scarcely recognizable as the former Club CO2, one in a string of night clubs located for years at the site. Prior to its life as a bar, the building, constructed around 1911 as the Barton-Ford Motor Company, was an integral part of the Lincoln Highway’s stretch through Cedar Rapids. The historic highway, America’s first transcontinental roadway, originally passed along First Avenue through Cedar Rapids when it was built in 1913, but by 1922, switched to Second Avenue SE. That history is now officially recognized in the listing of the Cedar Rapids Automobile Row Historic District, which was added this fall to the National Register of Historic Places. Initial attempts to create the district, now running along Second Avenue SE, between Sixth and Seventh streets, and Third Avenue SE, between Seventh and Eighth streets, were derailed by representatives of the city’s medical district. Because federal funds were used in 2011 to raze the flood-damaged First Street Parkade after it was deemed historic, the City Council signed an agreement with the Federal Emergency Management Agency that called for nominating Automobile Row to the National Register of Historic Places. The district originally would have run from Sixth to 10th streets SE between Second and Third avenues. Nearly three years ago, at least five property owners in the proposed Automobile Row district were “inadvertently” left off a list of owners invited to a city meeting about the nomination. Instead, the meeting was attended by medical district representatives, who had demolished a long list of buildings in the neighborhood and opposed formation of the historic district. The city dropped the pursuit of the nomination, but Ellis picked up the idea on his own, hiring Alexa McDowell, of AKAY Consulting, to nominate the district. Contributing structures in the district – those with distinctive architectural character – may be eligible for grants and historic tax credits that can recoup some of the expenses involved in work on the buildings. 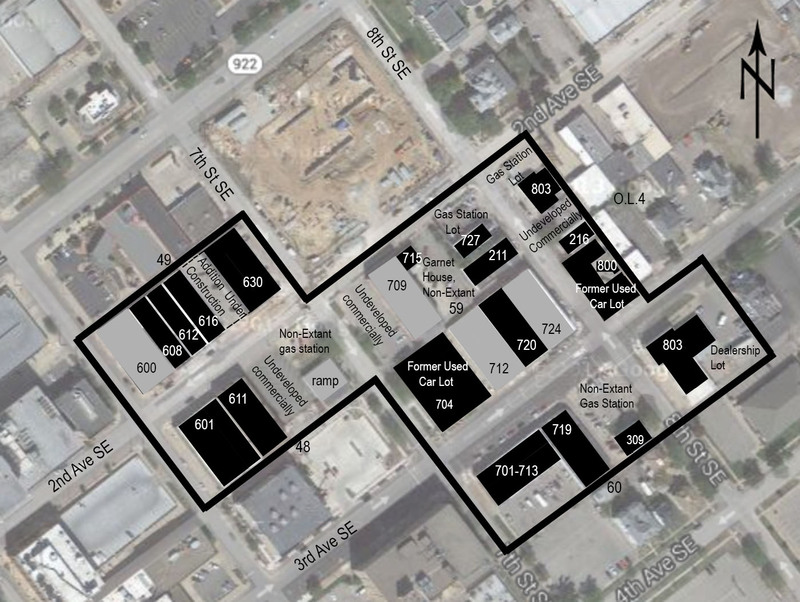 Of the district’s 21 buildings, 17 are considered contributing structures, including the Quarter Barrel site. 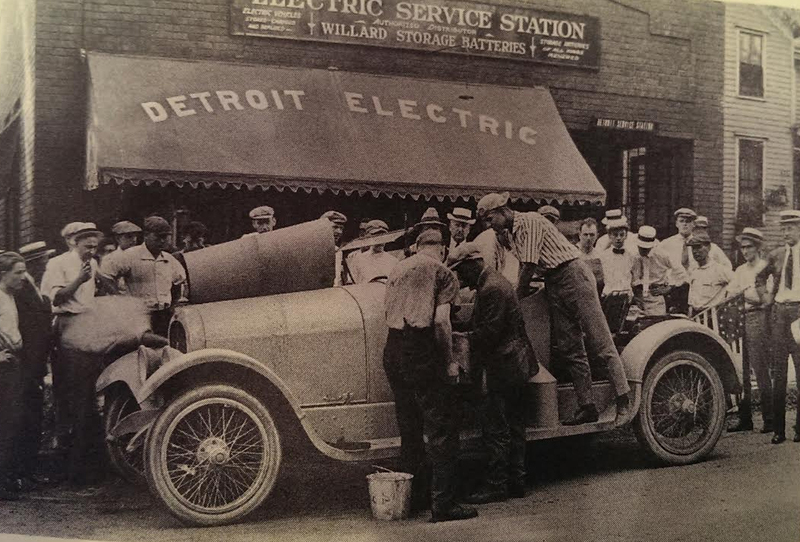 After being used as the Barton-Ford Motor Co., the building also served as the Paul Lattner Automobile Sales and Electric Auto Service Station, city historian Mark Stoffer Hunter noted, and much later as Stalker Electric, among other businesses. 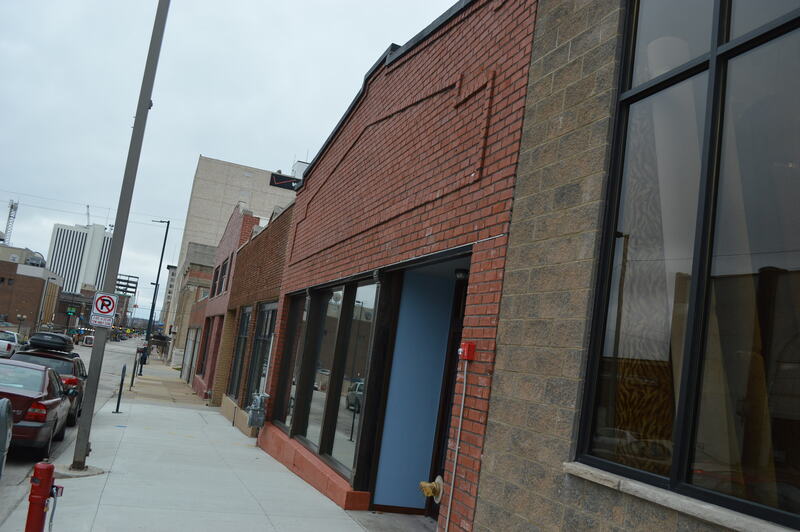 With a backdrop of original brick walls, the space also offers seating for nearly 160, plus a full kitchen where chef Andrew Hoffmann, a graduate of Kirkwood’s culinary chef program and former sous chef at Cedar Ridge, will create pizzas and more for Quarter Barrel’s menu. 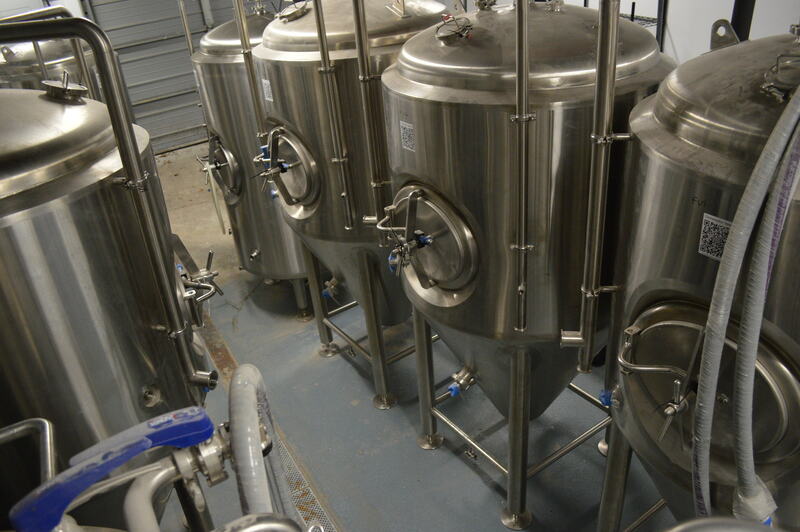 The seven-barrel brewing system in the back of the building has a capacity of nearly 1,000 barrels annually, including ales and more time-intensive lagers, which Ellis calls his passion. A graduate of the Siebel Institute of Technology’s brewing program in Chicago, Ellis previously worked in the music industry and most recently was assistant brewer at Millstream Brewing Co., in Amana. He and his wife, who works as an attorney for a Chicago law firm, moved to Iowa to open the Quarter Barrel in Lindo’s hometown. They now have two sons; ages 2 1/2 and 10 months. The couple won’t have the in-house beer ready when they open, sometime around New Year’s Day, (brew day to tap can take up to two weeks) but will add it after they focus on last-minute details, including final inspections. General manager, Aaron Webber, and lead bartender, Billy Satterfield, are among the staff working to get the Quarter Barrel open. Their goal is to start with dinner hours and add lunches in the future. While arcade bars have been trendy elsewhere, Ellis said most don’t have the full kitchen and ambiance of the Quarter Barrel. 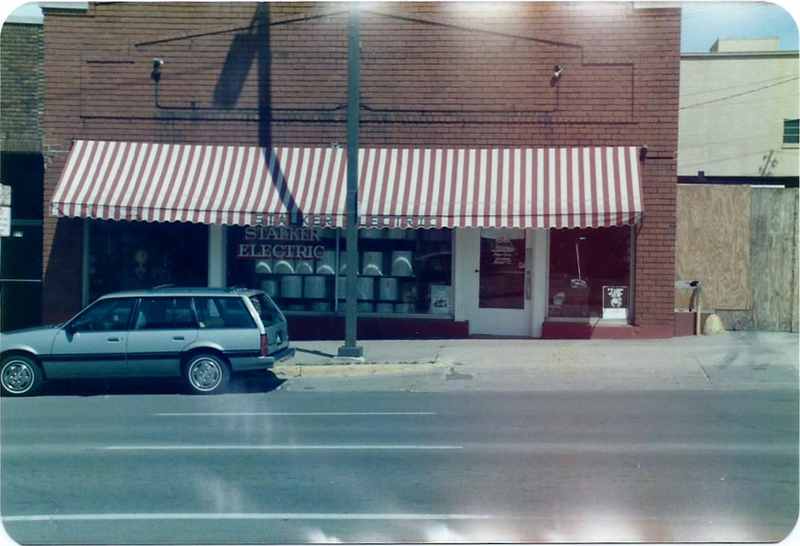 Learn more about the Automobile Row Historic District and find Quarter Barrel on Facebook. Good Luck Chris and Lorelle! Can’t wait to come and have some beer and pizza! I’m looking forward to coming out there once you guys have opened!